Brown spots on your skin – also called age spots, dark spots, and sun spots – are caused by prolonged exposure to the sun. This sun exposure increases your body’s production of melanocytes, which increases melanin levels in your skin. It’s this melanin that forms the visible brown spots on your skin’s surface. While most melanin deposits are completely harmless, many people find that they’re unattractive and prematurely age the skin. 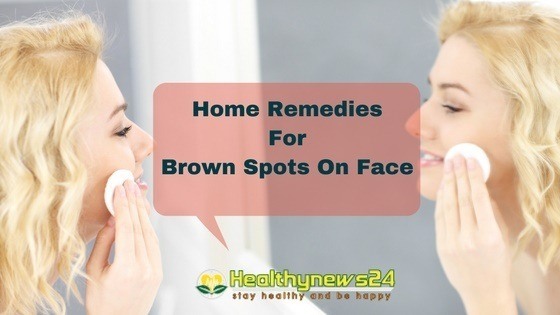 As a result, several home remedies have been developed over the years to help lighten and remove these brown spots. Below, you’ll find eleven such home ﻿﻿﻿﻿remedies – all of which have been effective at lightening melanin deposits and making skin look younger. For many years, the gel from aloe vera plants has been used to treat a wide variety of skin conditions, including brown spots. The gel can be harvested directly from an aloe vera plant or purchased in most grocery and pharmaceutical stores. Aloe Vera is nature’s gift to skin and contains many nutrition, amino acids, enzymes and minerals which are essential to cure many diseases as well. 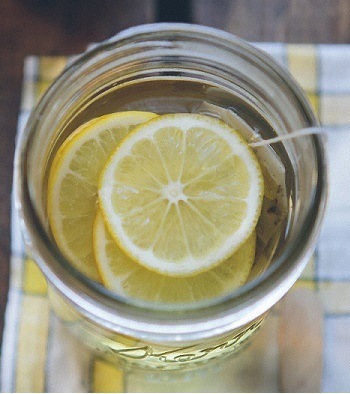 Lemon juice is an astringent juice that contains bleaching properties. As such, it is capable of lightening brown spots on the skin. Apple cider vinegar (ACV) is a “wonder” r﻿﻿eme﻿﻿dy for the skin. It's acidic properties help balance pH levels, remove dead skin cells, and heal damaged skin. ​All of the previous factors combine to help remove brown spots on your skin’s surface. Just drop eight ounces of it to warm water of a bathtub and soak it for about fifteen minutes to get the apple cider vinegar to work for your skin. Like lemon juice, horseradish also contains bleaching properties that help lighten skin. 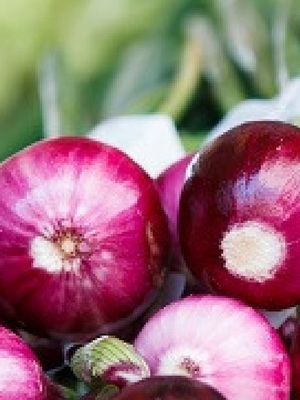 While not the most pleasant smelling remedy, red onions also contain acidic and antioxidant properties that lighten skin tone. There’s a reason Christopher Columbus called papaya the “Fruit of the Angels.” Papaya contains enzymes and other components that provide several skin-related benefits, like exfoliation, hydration, and spot removal. Papaya is a popular remedy for lightening of skin spots because it is a rich source of an enzyme called papain which stimulates skin renewal as well as cell turnover. Papaya soaps, as well as lotions, can be used for the exfoliation of skin and moisturizing. Buttermilk is a natural pro-biotic and rich in lactic acid – both of which are very effective at enriching skin. Another popular dairy-based home remedy for spot removal is yogurt. It is rich in lactic acid which is responsible for removing dark spots from the skin. The fatty acids present in castor oil help to remove damaged skin and promote healthy tissue growth. Persistence is key when using castor oil to remove brown spots. Castrol oil also has anti-viral, antibacterial, and antioxidant properties that make it a great remedy for many diseases. It detoxifies, moisturizes as well as softens the skin. Dip a cotton swab in castor oil and secure it to the designated area for about an hour. Repeat this process daily to see results​. Sandalwood’s antiseptic and cicatrisant properties make it very effective at healing damaged skin and removing dark spots. 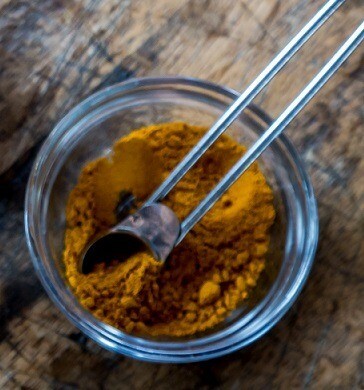 Another skin lightening agent, turmeric is a spice that contains certain antioxidants and other components that can reduce scarring, prevent aging, and lighten darkened skin areas. It’s often used in combination with lemon juice.​ Don't forget to share your remedies.